What’s the best way to score free food and help ensure everyone in the community gets to enjoy a Thanksgiving meal? Bring a frozen turkey donation to the Wing Shack! Once again, we are teaming up with The Food Bank for Larimer County and the Weld County Food Bank to act as a drop off point for anyone interested in donating a turkey for the holiday season. And we are very excited to announce that we will be working with Needs Inc (a Cheyenne based food bank) to collect turkey donations at our newest home off Stillwater Ave! Thanksgiving is one of our favorite holidays of the year – any holiday that brings people together to eat a tremendous amount of food is going to hold a dear place in our hearts. But we have a lot of work to do in our communities before we can truly be thankful. In Laramie, Larimer, and Weld County, local food banks need over 10,000 turkeys combined to provide holiday meals for hungry families this season. In Weld County alone, the food bank has seen a 22% increase in emergency food requests We find this unacceptable, so we want to reward anyone that brings a turkey donation to the Food Bank. We are offering 5 FREE BONELESS WINGS if you bring your turkey to a Wing Shack location. But that’s not all – if you bring in the turkey, we will help with the sides that make Thanksgiving so great. For every turkey donated at one of our locations, we will donate $5.00 to the local Food Bank. All six of our regional locations will serve as a drop off point for anyone interested in donating a turkey to their local Food Bank. We have cleared out some extra room in our freezers and are looking to use the space to help the Food Bank’s meet their goals! 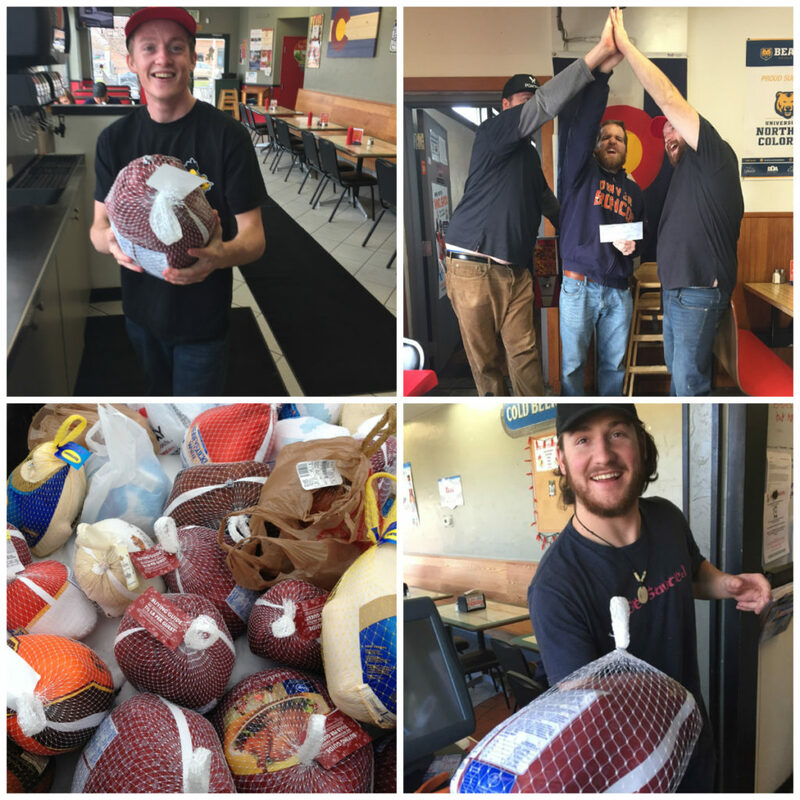 We know that we can come together and make sure everyone gets to carve a Thanksgiving turkey – So whether you are dropping your turkey off with us or directly at your local food bank, together we can spread the #WingLove (or in this case #TurkeyLove)! All donations must be brought by November 22nd, 2017. Happy Thanksgiving from everyone at the Wing Shack!